I have not fallen off the face of the earth, but I have been spending a ton of time in my garage the last several days. This past weekend was my youngest daughter's dance recital, and then this week I have been very busy preparing for our garage/moving sub sale. The month of June has been very busy for us, that's for sure! 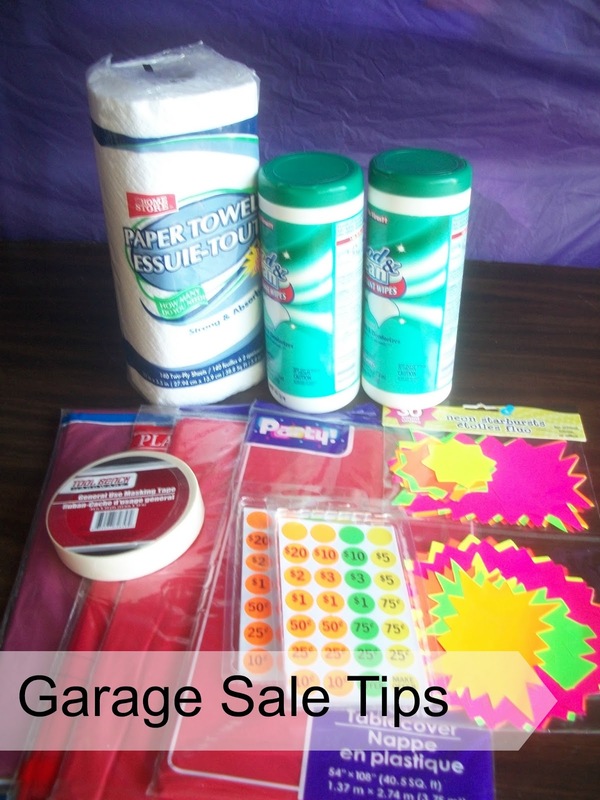 Since I have been so busy with this sale, I thought I would re-share some of my favorite Garage Sale Tips as a veteran garage sale hoster. I am lucky that each year my subdivision puts on an annual sub sale, which helps with the traffic and advertising. I love all these tips. We have a neighborhood garage sale once a year. I will use some of these tips.